‘Medium’ VS ‘WordPress’ Which One is for You? One of the most effective ways to tell more about your personal or business website is to start a blog. They have proved that it is the most trustworthy data source for those who are searching for precise information on the web. If you have not launched a blog yet, we recommend you do it soon to let your audience know that the information you provide is worth trusting. You may wonder what platform is better for your future blog. To make your choice easier, we have compared two popular blogging tools like WordPress and Medium, so you will be able to make a reasoned decision. Be aware that we focus on self-hosted WordPress.org sites, not on WordPress.com. If you are interested in the difference between them, check out the detailed article about it. WordPress was released in 2003, and now it is a content management system (CMS) with more than 74 million users. About 27% of all websites around the world are based on WP platform. Let’s take a closer look at WordPress key points and disadvantages. Content management which means that you can fully control your WP website including hosting questions, installation, templates, text content and much more. You are an actual owner of your site. A variety of WordPress themes and plugins represent operational flexibility and custom settings, so you have enough options for modifying the web page based on your requirements. The administration panel is intuitively clear and will not confuse you. An extensive community characterizes support and helps you find the answers to any of your questions. Hackers often try to break WordPress, yet you may take special security measures to save the site from hacking. WordPress is semi-social. Thus, it cannot support social sharing by default. Nevertheless, you may come with plugins like BuddyPress to get social features package. Medium is quite a young platform. Twitter ex-CEO Evan Williams launched it as a free online publishing platform in 2012. When using Medium, you will face a combination of blogging and social media along with easy operation. Post and advertise your stories through the web. Check users you are following as well as their posts and content. Series that are available for mobile version only. They are similar to stories on Facebook and Instagram. Limited choice of customization options. Bounded control over your website. Since we already know some basics of both platforms, we may continue to their comparison. WordPress and Medium are going to be reviewed under the following criteria: starting process, design, writing experience, stats and tracking, pricing, security, and support. So, let’s start. Register a hosting package and buy a domain name. Set WP to a specific subscription plan with the help of script installer. Add a theme and required plugins to your blog. Develop your blog filling it with quality content and media. Push ‘Get Started’ button and register your account. You may sign in either with your Google or Facebook account. Go to your inbox, find the verification email, click on the link. Offering a wide range of free and premium themes, WordPress gives you a possibility to build a website that would look yours solely. You may be sure that you use the top-notch templates because professional developers make all of them with limitless adjustability options. Except for the innovative design WP themes are SEO optimized, so there is no need to install additional SEO plugins. Using Medium, you have an opportunity to choose a grid or stream-based layout for your publication. Logo, background color, and images should be added on your own. Even though drag-n-drop editor is straightforward and provides different modifying options, every story published on Medium will look the same due to limited design variants. You will face WYSIWYG experience using both WordPress and Medium because they let you adjust your content with no hassle. Yet comparing to a limited number of Medium editing options, WordPress offers text editor along with visual editor and allows you to add a specific CSS for a particular sort of web content. WordPress is available with Google Analytics integration. You have access to demographics, time on site and lot of other information. The information that is inaccessible at Medium because the last one offers bounded Google Analytics integration. 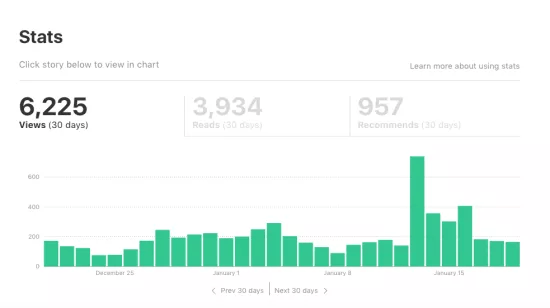 But still, Medium has a unique stats function that substantially encompasses all bases like views, recommendations, daily attendance outcome and much more. For those who like monitoring their ‘reads,’ i.e., the quantity of times the visitor has read a full article, Medium features ‘reads’ tracking. WordPress is free to download, but web hosting will cost you a bit. Most of hosting providers charge varies from $3 to $8 per month. WP also offers numerous free themes and plugins at its storage, but if you aim to enhance your website user interface and UX constantly, you will not be able to do that without premium templates and add-ons. On the other hand, Medium is free, and what’s more important you can get paid for publishing your content. Some time ago Medium opened its Partner Program for all writers. But there’s a thing if you’re living in the country where Stripe payment system is not functioning you won’t be able to join partner program. As already mentioned, WP is a self-hosted platform. Your website security is in your hands. To keep its credibility, WordPress quickly answers safety issues. The updates are unattended and they are embedded to many WP sites. Even so, we recommend selecting a security solution for your web page like Sucuri. 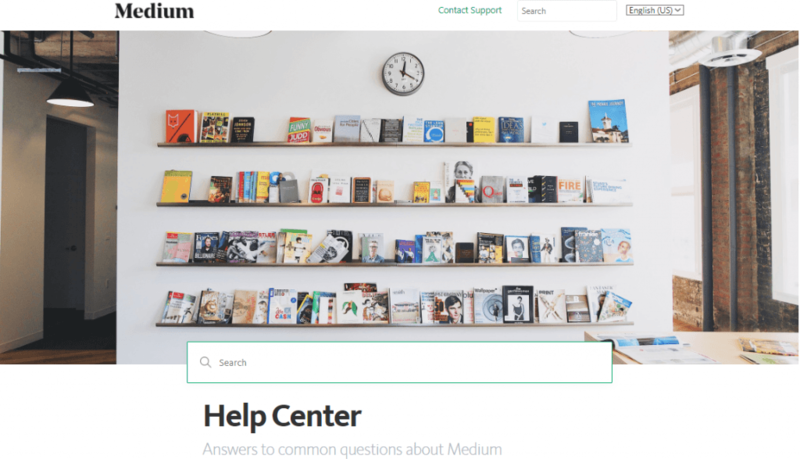 In opposition to WordPress, Medium is a full-hosted platform. What does it mean to you as a user? You may be sure about the software, secure Medium servers will service your content, and your personal information will not spread everywhere thanks to standard security arrangements. WordPress has a large community support which is available through the website. Except for it, you may find WP support on StackExchange, YouTube, SitePoint, and others. Medium features ticket-based supporting option and comprehensive documentation. Running your blog grounded on this platform, you can get any assistance for free from the Medium team. If you like storytelling and want to share your thoughts with others and express yourself within an association of co-thinkers, we recommend choosing Medium. It is easy to use and entirely free. You will enjoy developing your writing skills on the Medium platform. In case you are running a business website, and you want to launch a blog for establishing a brand, choose WordPress because it offers numerous options for implementing your plans. Even if you have to pay for it, the result is worth it.